About the Author: Ayush, from Jaypee Institute Of Information Technology, recounts his unforgettable days at The Local Tribe. He takes us through the journey of how he got his programming internship and the eternal experience that he will cherish for life. For most college students, summers are the time to relax. However, for those in their penultimate year – summers are the time to intern! Internships are a stepping stone to opportunities and an eternal experience. I started applying for internships from March 2016 through one of the most reliable platforms – Internshala. I applied to more than hundred companies and got shortlisted for around 15-20 of them. Some of the companies required task completions by a given deadline before calling for an interview, while some directly called for offline/skype interviews. You will definitely learn a lot from such processes. By the end, I had three offer letters in my hand. After searching the web and visiting each company’s office, I decided to join ‘The Local Tribe’. The Local Tribe gave me the opportunity to explore and learn so much about new technologies. I was appointed as a Software Engineer intern for two months. 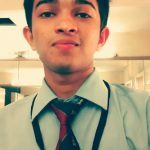 Having recently completed my 3rd year of B.Tech(CSE), I was eager to work in a software company, and to know how real world projects are made. Coming to the kind of work I was into – I worked with the engineering team in the area of Backend Development. My first day at work involved an introduction to my teammates and other interns. A lot of reading and studying about the technologies and software followed for the next week. Mr. Manish Gupta, my mentor, discussed the project to be undertaken by me. The task at hand was to design the backend of ambassador programs and admin panel’s website. The main aim of the ambassador program is to involve students from various colleges or schools, who would make people aware of the uses and benefits of The Local Tribe’s mobile application. Coming to the product, I personally think that ‘The Local Tribe’ is an innovative idea which is extremely useful for the community. By bringing neighborhoods online, users can perform a lot of activities using the app itself. This definitely saves a lot of time, abates the headache of searching for things offline, and brings people closer to their neighborhoods. Being a college student, it was difficult to wake up early every morning. However, these two months made me extremely punctual and regular. They weren’t strict about timings, but I chose to be disciplined. Everyone was so kind and helpful. It taught me how to conduct myself at work. Observing the everyday happenings taught me how people can come together to get things done. I feel that I adapted to the office life relatively well. The internship has been extremely enriching – I got to know about a lot of new technologies and industry needs. It has strengthened and boosted my confidence. It has truly been a great learning experience and I’ll forever be indebted to those who helped me through my journey. My advice for all the juniors out there – Start applying for internships 3-4 months before you wish to join. Brush up all the core concepts and take guidance from your seniors and teachers. Showcase all your good projects in the resume and put them online (Github, bitbucket etc.). Lastly, make as many contacts as you can and be active on social media so that you don’t miss out on any opportunities. Editor’s Note – If you also have an interesting internship story to share, you can send in your entries to Your Internship Story 2016 and win exciting prizes worth INR 1 Lac! Did Ayush’s story inspire you to find an internship, already? If yes, then here are some programming Internships for you.